Earlier this year, I was playing in an online MyLeague. In this particular league, we use regular rosters. This means if a trade or transaction happens in real life, we reflect that in the rosters in our league because we want a realistic MyLeague. However, what should be a simple task isn't always easy for the commissioner. For each team involved in a trade, they have to propose the trade. Sometimes those teams are cpu teams which makes it tougher. Then each team has to approve the trade which isn't a given. Finally, you have to wait out any timers in the online MyLeague which is another issue. In this article, I'm going to show you how to easily force trades and make other roster adjustments by bypassing the whole trading system in MyLeague. This will work for both online or offline MyLeague setups. This little trick will help you easily keep your roster up to date, if you are running a true life regular roster league offline as well. 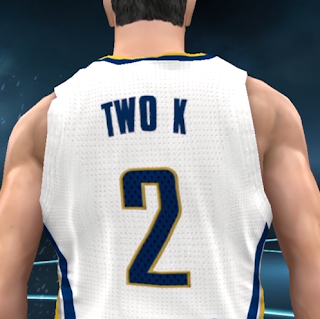 To force a trade in NBA2K, the easiest way is to swap player DNA. Step one is to download the DNA from each player involved in the trade. Step two is to import each players DNA into the opposite player. You can import and export player DNA under the edit player option. When you do this, you want to do both appearance and attributes. Once the DNA is swapped, you can edit the players contract on the new team if you need to. And just like that, the trade is complete. When you download and swap player DNA, make sure that you choose both appearance and attributes. This will bring over everything about the player from they way they look to their ratings to their signature skills and badges. It's all the important stuff. However, I did notice that there is some isolated player info that doesn't swap. But to me, this wasn't an issue. I'm mainly concerned about keeping the roster correct. Here are some times you can use player DNA to force your will upon the roster when you need to. 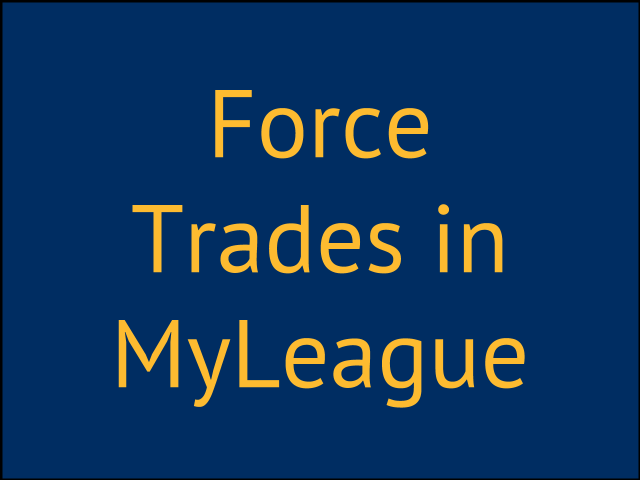 Force trades If you want to force a trade to go through, you can bypass the the whole trading system. Just swap the DNA. Move players to other teams without having to sign them Sometimes you might just want to move a player to another team. Swapping DNA makes this a snap. Add players to the roster If a team added a player to a team's roster but that player isn't in your file. Normally 2k adds these real life players in their official file. You can download their DNA and then upload it to your file. Update players in your roster Over the course of the year, 2K updates players based on the year they are having. Any time there is a roster update, you can download the updated player from another roster and replace that DNA in the same player in your roster. I've done this a few times in a playoff file I am using to play a friend in a 7 game series and it's super handy. Basically, anytime you need to clean up your roster, move players for whatever reason, add players or update them, you can just use player DNA to do it. Once you've swapped player DNA, you might need to review their contract details to make the contract is what you want it to be. The contracts should swap over and remain the same. Did this help you force trades and other transactions in your MyLeague file? Let me know in the comments if this helped you or you have any tips about moving players around or updating them. Also, subscribe to my free email updates below.